Since childhood, I have been a HUGE Mel Gibson fan. From Mad Max to Braveheart, The Patriot to four installments of “Lethal Weapon” and his masterful depiction of “The Passion of Christ” was Divine. Literally! 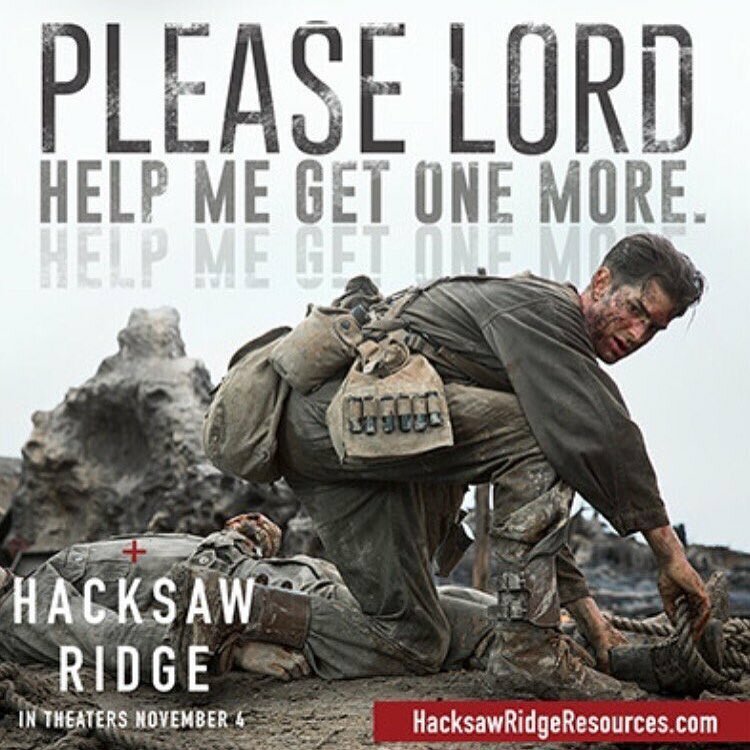 Even his final fight in Expendables 3 with Stallone was great and when my good friend, Pastor Brian Alarid asked me if I could be in New York City to attend the red carpet / advanced screening of “Hacksaw Ridge” with Mel Gibson I didn’t have to pray long. The Bible says, “be instant in season and out” and when they said “go” I was gone! Thanks to Matt Dickerson @ Faith Based Entertainment Promotion for introducing my friends to Mel was icing on the cake. What a treat to attend the premiere in the Big Apple on Wed, Nov 2 (two days before the world-wide release). It was doubly special to attend with some veterans who were well up in their seventies and eighties and sitting in that theater with them was priceless and surreal. 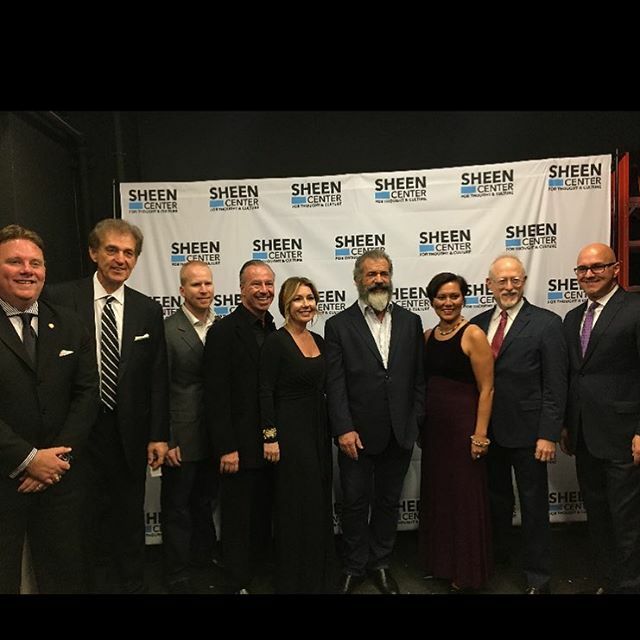 One of my favorite verses is “Whatever your hand finds to do – do it for God’s glory.” Mel Gibson financed this entire film on his own and he not only put his money where his mouth is but put his hand to the lens and do what he does best – paint a picture! 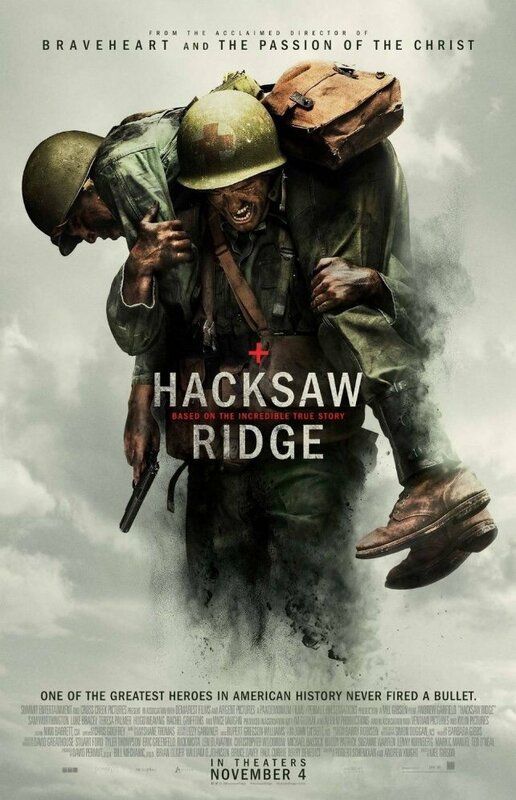 This is hands down not only one of the greatest war movies of all time but I believe one of the best stories to be told on the big screen. The action was intense, the determination was second to none coupled with a love story fueled by a calling to serve God and Country simultaneously. It was patriotism and perseverance colliding and a solider who ran each step of the way on prayer. He was not just trusting on a “higher power” or dead, dry religion but Christ, The Son of the Living God. This movie is a mixture of heroism and Heaven. Put Billy Graham and Rambo in a blender and what pours out is Private Desmond Doss. This movie is without a doubt one of the greatest illustrations of courage and conviction and I pray that every adult friend will watch this epic film. Further, I pray we as a Nation will both respect and reflect on not only the price of freedom but the cost of war. Thirdly, may we take into consideration the reality of Post Traumatic Stress Disorder (PTSD) and seek ways to compassionately serve those who valiantly safeguarded our shores and protect us both past and present. Honestly, this film couldn’t hit theaters at a better time in our history. Our nation is divided, our public trust is a private mess and what a clarion call to remember people are more important than possessions. In the 1950’s we loved people and used things. Today, we tend to use people and love things. We worship the temporal at the altar of the eternal and Hacksaw Ridge reminds us we do better when we graduate from singing “MY WAY” to “Have Thine Own Way, Lord.” The chorus – “You are the potter – I am the clay. Mold me and make me this is what I pray. Change my heart God – make it ever true. Change my heart o’ God. May I be like you!” For those who dare to pray that prayer we will be changed forever to live much larger than our self. To truly have the heart of God we begin to look outward opposed to be stuck inward. Do you want to see God? You will find Him by loving on the least, last and lost. 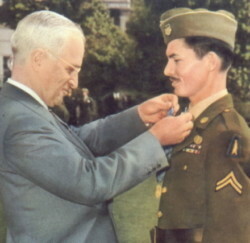 Private Doss displayed impeccable courage and he first fought opposition from his own team. When we step out and do God’s will sometimes those closest to us will not understand our calling, mission or sincerity. They may mistake our mission trip for an ego trip. They will think its all about YOU when it is really about Him! They mistake selflessness for selfishness but what they thought was cowardice at the start was courage to and through to the end. Don’t let your critics cripple your calling! However, it was the initial hurdle with his own team that allowed him to jump over the obstacles of the enemy and never forgot why he enlisted – serve God and fellow man. Private Doss is the Terminator without a gun, Rambo without a knife and John Wayne without a horse but had every bit of their laser like focus and never backed down from a fight but he knew the blood of God was stronger than the bullets of men. Without question, there is a time for peace and war and we do well to promote the Prince of Peace to those dying around us in the middle of conflict. Too many Christians are content leaving loved ones behind. No we would never say it but when we pause and ponder we do it daily. We rather blog about and pick apart other clergy due to jealously, insecurity or theology opposed to pray for them on our knees or reach out to treat them to buy them lunch. We prefer to buy a book from our favorite celebrity pastor at the expense of being in The Book and be alone with the Author. It is easier to attend another convention than carry out the Great Commission. This anonymous now known solider did it running into Hell with bullets whizzing by while countless Christians drink coffee and play arm chair quarterback throwing rocks at one another. God help us! Private Doss was able to rescue SEVENTY FIVE souls! Today, nine out of ten Christians will live and die without once leading someone to faith in Christ. For his valiant service he stood toe to toe with President Harry S. Truman on October 12, 1945 and moments before the most powerful man in the world hung the iconic Medal of Freedom around Doss’ neck heard these words from his Commander in Chief, “I would rather have this medal than be President of the United States.” One day soon, when the Lord returns we will all stand before the Judgement Seat of Christ and give an account. The Bible talks about we can get a crown for winning people to Christ. On that day by the celestial sea the Lord even greater than a sitting President but the Prince of Peace will stand and adorn a crown worth more than a medal for helping save souls. We will get not a Medal of Freedom but a Medal for helping folks find forgiveness and true Freedom. Can’t wait to see this movie! Love you, Frank! Looking forward to watching this movie. I’ve boycotted a lot of them, but this one I will see.